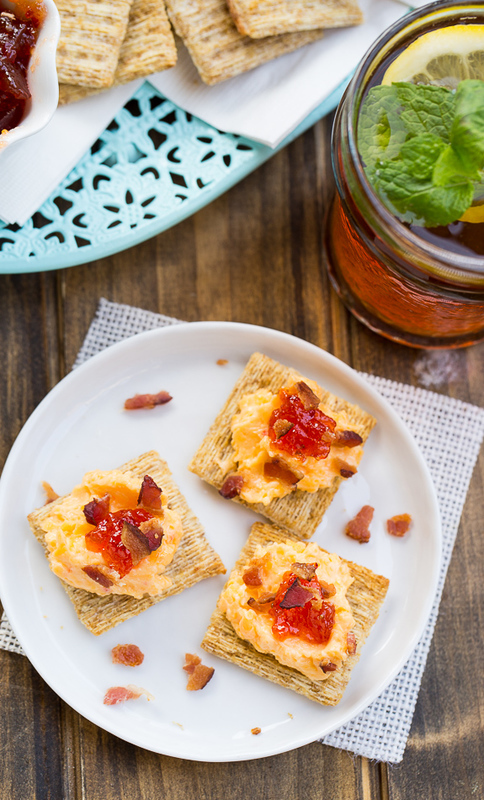 Top each Triscuit cracker with a spoonful of pimento cheese, a dab of jam, and a sprinkling of crumbled bacon and get ready to wow your guests. Do you associate certain foods with memories or people from the past? I’m sure all of us do. When I was a girl every summer we vacationed with my grandparents at Holden Beach, NC. Several of my grandparents’ friends would go the same week and invariably my grandmother would invite them over. Now, being the perfect southern hostess didn’t come easily to my grandmother. First of all, she wasn’t southern. She was raised in a small town in Nebraska, went on a full academic scholarship to Smith College (the same graduating class as Julia Child), and then on to graduate school at the University of Chicago where she met my grandfather. They moved to Chapel Hill, NC and both taught history at the University for a number of decades. If you went to UNC anytime during the 50s, 60s, or 70s, there’s a pretty good chance you took my grandfather’s (Dr. James Godfrey), class. I digress. Memories will do that to you. My grandmother also didn’t like to spend much time in the kitchen. But she very much desired to fit in in a small southern town where she was an outsider and had little in common with the other professor’s wives. She made a concerted, if sometimes a little awkward, effort to blend in and she could always rely on Triscuit crackers. And she did frequently. She topped each Triscuit with a small square of cheese (most likely Cheddar or Swiss), placed them on a serving platter, and circled the room smiling at each person and saying, “would you like a cracker?”. When I think back to my grandmother’s generation, I realize we owe much to them for paving the way for women of my generation and our children. To a great degree, the expectations for women to conform to a certain role no longer exist. We can choose any career we wish, to be a hostess or not be a hostess, and to top our Triscuit crackers with whatever pleases our hearts. I have always viewed cooking as a creative outlet and Triscuit crackers are the perfect blank canvas for unleashing your creativity. 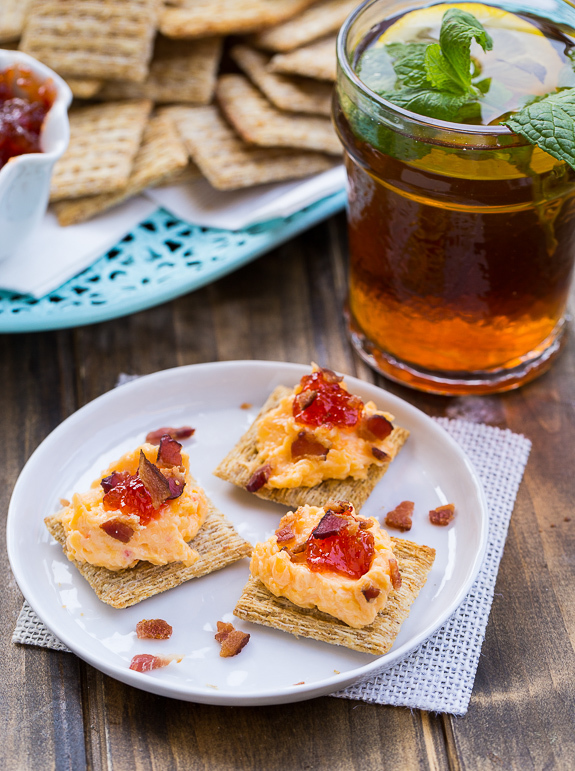 Triscuit Crackers topped with pimento cheese, strawberry jam (I love to use a spicy habanero strawberry jam), and crumbled bacon are fantastic paired with a glass of sweet tea on a warm and sunny southern day. They are a wonderful blend of sweet, salty, and spicy and oh so southern. Just like me. What about you? What 3 toppings would you put on your Triscuit crackers? 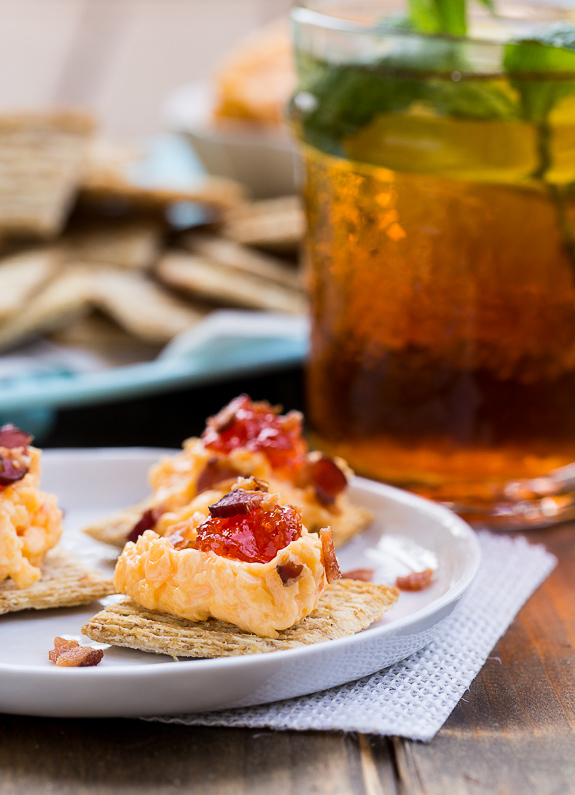 Tricuit crackers make a great anytime snack. 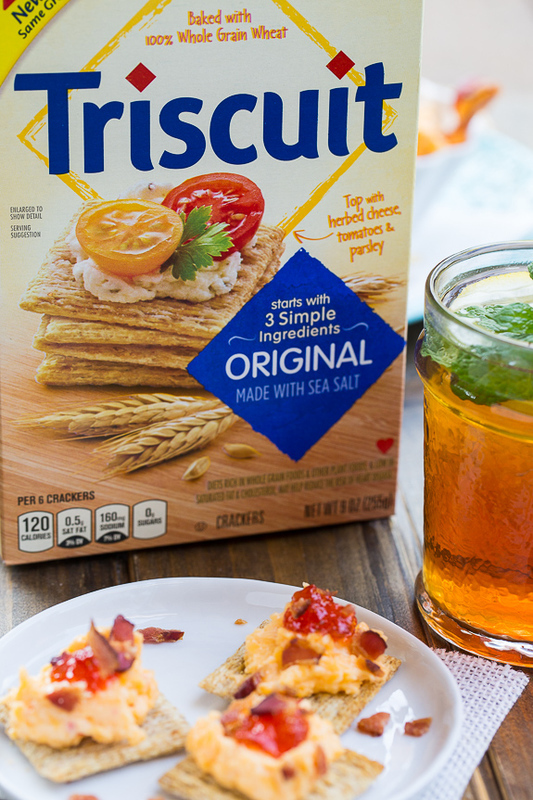 Follow on Pinterest, Twitter, and Instagram to spark your imagination when it comes to serving Triscuit crackers.